Mark’s mother Dorothy said she was grateful for the work the CRE team was doing. “It’s been the highlight of his life. He absolutely loves the volunteering, that’s all he talks about. He is so much happier now that he is doing what he’s always wanted,” she said. The CRE team was established to support and empower people with disability to speak up and exercise their rights, provide leadership development and peer support, build self-advocacy skills and promote stakeholder participation. 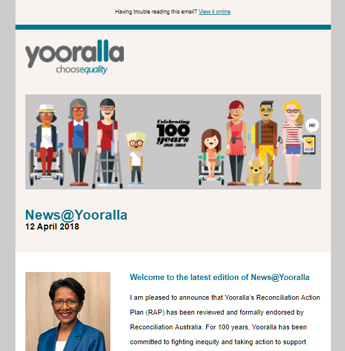 Rebecca Feldman, Customer Rights and Empowerment Practitioner at Yooralla, said when Mark shared with the team that his dream was to become a volunteer, they sprang into action. “Volunteering in aged care was a life-long passion for Mark. So we researched all local volunteering opportunities at aged care facilities, supported Mark with applying for available opportunities and then, supported him through the interview process,” she said. 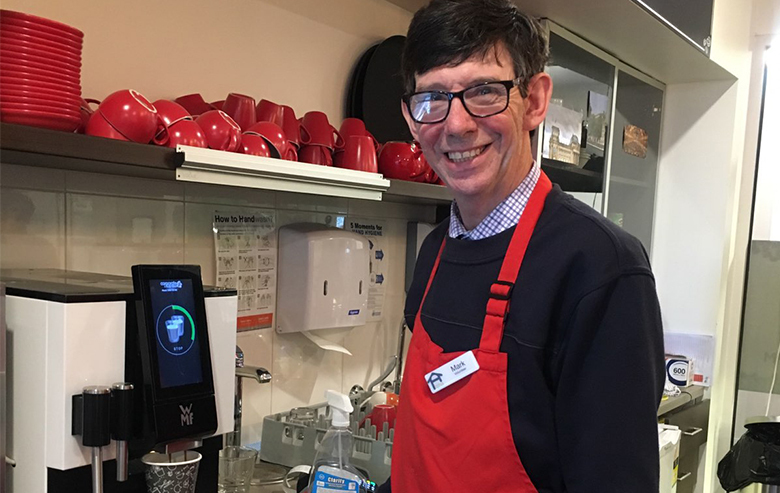 Once Mark secured a volunteering position at a café at an aged care facility, the team also supported him on the first few shifts to ensure he felt confident in his new role. “We looked at the required tasks and assessed Mark’s capabilities, identifying the areas where he needed more support and training, and whether anything needed to be modified. Now Mark runs the café on his own during his shifts and is doing really well,” said Rebecca. Mark said the volunteering has changed his life. “I’ve always wanted to help elderly people. I used to work at a hospital in England as a porter and used to look after elderly patients there. That’s where wanting to help elderly people came from. Every time I go to my café shifts I love it, it makes me really happy,” he said. Rebecca said it was important that people with disability took up a wide range of valued roles in the general community. “I was proud of the role CRE was able to take in facilitating and supporting this opportunity. Our team looks forward to supporting many more people to have the opportunity to step up and be included,” she said.